As it appears, Faruk Begolli was the last Albanian in Prishtina who still drove “Yugo” and smoked “Drina” cigarettes after the war. His “Yugo” was rusty and decrepit, the breaks needed to be pressed hard, but it still served him well. On the other hand, “Drina” cigarettes were brought to him from Serbia, by any and all travelling there. Last year marked a full decade after his death. In the 1970s and 80s, he was among the most sought-after movie actors in the entire Yugoslavia. In those times, fan clubs were founded in various cities. He played in some 70 movies of various length and in dozens of theatre plays. By the age of 33, he already had 33 movies behind him, directed by the best Yugoslav directors of the time. I still encounter people who tear up at the mention of Faruk Begolli. Not to mention Prishtina, where he is remembered nostalgically by all, especially by his former students. I remember how, each time we crossed the border between Kosovo and Montenegro, Montenegrin policemen would change their facial expression and become kinder as soon as they spot Begolli in the car, and start reminding him of his movies. Begolli used to talk how during his acting studies in Belgrade he met two people that remained his life-long friends. They were Josif Tatić – Tale or Jataganac, as Begolli used to call him, and Laslo Svirtlih – Laci, both actors from his class. “We often spent 20 hours per day together… We often lived together. Everything we did, we did together. We became inseparable… This friendship of ours has lasted from the 1960s, so, for over 45 years” (Faruk Begolli, 2007). Faruk Begolli was married to Zoja Djoković, a brilliant woman of whom he spoke with great admiration. Zoja, a professional ballet dancer at the National Theatre in Belgrade, now deceased herself, would later take her husband’s surname – Begolli. Throughout their married years she was, as Begolli said in one old interview, "the pillar of the house". Still, after 17 years of marriage, Begolli divorced her. “During these last years I no longer talk about love, because a true love existed, and marriage as its result. We were together for 17 years. She kept my surname. But, when it’s over it’s over, unfortunately. We remained friends. We speak over the telephone from time to time. We spoke most frequently during the war. But, since we realised that we're both well, me and her, we spoke less and less frequently. I'm happy for that love, for having that woman. I'm grateful to her for giving me this wonderful love, that friendship, and that piece of wonderful life” (Faruk Begolli, 2007). “I rejoiced. I went far back through my memories... Fortunately, I have good memories from those days. My friend Josif Tatić constantly invites me to go there. I'm afraid I'd burst into tears if I went to Belgrade” (Faruk Begolli, 2007). “I don’t take back the statement I made then. I said that I spent most of my life in Belgrade. I have my memories, good memories, regardless of the humiliating attitudes of politicians there towards Albanians. When I accepted the offer of Television Belgrade, I hadn’t been informed about the goal of that show. I was told to speak about the ways of my affirmation in Belgrade, and feelings that I have for Belgrade. I had no clue about the political background which they had in planning that show. Then, my statement was edited and “butchered”. If it had been broadcast in full, I would have been applauded, but what happened happened and… (Begolli, 2007). Begolli’s ex-student and later colleague Enver Petrovci says today that he does not understand why people in Kosovo got offended. “It was shortly after 1981, when Serbian television and reporters constantly provoked us. Faruk said he felt good in Belgrade, that he felt like a Belgrade child. Why not? I don’t know why people misused his statement. Neither Faruk, nor Bekim Fehmiu ever denied to be Albanians. During my meetings with Faruk, in the restaurants, on the street, in theatres, or anywhere in Belgrade, we always spoke Albanian with each other and never in Serbian. After all, is there an Albanian who lived in Belgrade about whom people here in Kosovo don’t have prejudices? People that were once our pride, precisely because they made a name for themselves in Belgrade, were later cursed” (Enver Petrovci, 2007). Nevertheless, many years later, Begolli still spoke about his love for Belgrade. “No matter that someone can misunderstand or misinterpret me, I still love Belgrade” (Faruk Begolli, 2007). 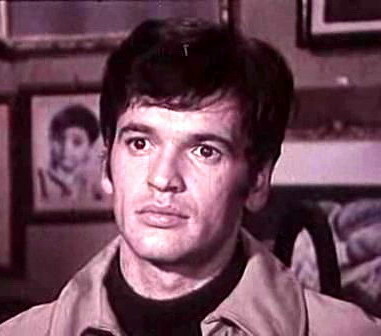 During the first days of NATO bombings, Television Belgrade broadcast movies about WWII, most of which starring Faruk Begolli. And, while people watched him play a brave partisan fighting German fascists and collaborators, in reality he waited for Serbian police to forcefully expel him from his home. The police expelled him twice, but he repeatedly returned with his sister to his brother Adil’s place, and refused to leave. “One day, while the television aired Operation Belgrade directed by Žika Mitrović, in which I play a fearless liberator of Belgrade, Serbian policemen came and chased us out of the house” (Faruk Begolli, 2007). His friends from Belgrade and other cities and towns outside of Kosovo managed to find his telephone number. Josif Tatić – Jataganac, one of his closest friends from Belgrade, constantly kept contacts with him. He would call every two or three days. Realising what was going on in Kosovo, Jataganac and several others made a great effort to evacuate Begolli from Prishtina. They investigated all possible channels, and even tried to send a bus to evacuate not only Begolli, but his entire family. His friends’ efforts to get him out of Hell comforted and encouraged Begolli, but they still did not manage to persuade him to leave Kosovo. The wartime story has another horror episode. On a common wartime day, Faruk Begolli went about his day with his brother Adil. Two Serbian policemen, who conducted the census of the little remaining population in Prishtina, got into their flat. The policemen, of course, recognised Begolli. “... It was horrible. ‘C’mon, you asked for Albania...’, they were telling us. At the beginning I shivered, naturally. They would then say: '... the two of you attacked us, we will kill you now’. Such harassment lasted for some two hours. But, at some point a man gets filled by a completely different strength, I snapped and asked them then: go on, take me anywhere you want, do whatever you want... Go on, kill me...” (Faruk Begolli, 2007). Fortunately, however, it all ended without a tragedy. The policemen asked Begolli to buy them lunch. They took 200 Deutschmarks and then left. After the war, Begolli rarely travelled outside of Kosovo. He never went back to Belgrade, nor to Zagreb and Ljubljana. He would travel to Sarajevo much later, with “King Lear”. “I mustn’t think of Belgrade. My friends keep calling me. They even think I’m afraid. But, I interrupted one wonderful life. Now I erected a kind of a wall and I don’t want to think about it anymore, for I loved Belgrade very much. I have fears. I wish to keep the nice memories that I have of it” (Faruk Begolli, 2007). In 2007, virtually all the media from the former Yugoslavia, but also some important international media, reported about the death of Faruk Begolli. Seldom can such a person be found that, after wars in this region, all the media – Serbian, Croatian, Slovenian, Albanian, Bosnian, Montenegrin, and Macedonian – universally celebrated, writing that it was “a great loss”. People and artists such as Begolli, by their greatness, overcome hatred and nationalism. Not only by their life, but also by their death, they spread messages of peace, understanding, mutual suffering, love, and friendship. It seems that, when great artists die, guns and hate are silenced, at least for a moment. Such was the case with the death of Faruk Begolli, and with the death of Bekim Fehmiu. He spent the last twenty years of his life in Prishtina, but he lived in Belgrade just as long. Both physically and spiritually, his life was divided between Prishtina and Belgrade. He was loved and cherished in Belgrade as much as in Prishtina. In these entangled Serbian-Albanian relations of ours, filled with hatred and spite, Begolli is perhaps a rare exception, a bridge and a connection that the two nations built and preserved. He lived and created as an artist, in contrast to many other artists from these parts that wanted to be not only artists, but also patriots. Great artists are children of the world. Their homeland is the art they represent and leave to their posterity. Begolli left us a rich legacy as both artist and professor. And as a man. Once we, Albanians and Serbs, manage to cure ourselves from the fever of nationalism and primitivism, Begolli will deserve such an inscription: he was a great artist that loved Belgrade and Prishtina, but he loved humanity above all! This text was written as a part of the project Beyond Enmity: Changing Serbian-Albanian Perceptions , implemented by Qendra Multimedia from Prishtinë in partnership with the Belgrade Institute for Philosophy and Social Theory. The project received support from the Swiss Embassy in Prishtinë and the project Perform that supports the reform of social sciences in the Western Balkans.